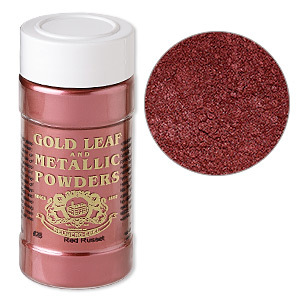 Mica powder, Gold Leaf & Metallic Powders, red russet. Sold per 1-ounce jar. Item Number: H20-6603BS Have a question about this item? 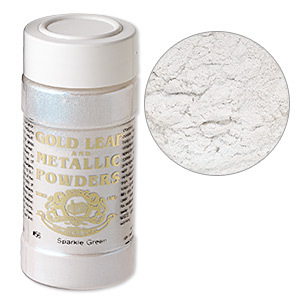 Mica powder is a great material for providing vivid color and a pearly, metallic look without using metal. Mica powder works well on polymer clay, resin and more. In most cases, a top coat is needed to prevent colors from rubbing off over time. 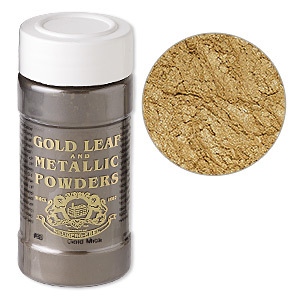 Mica powder, Gold Leaf & Metallic Powders, Gold. Sold per 1-ounce jar. 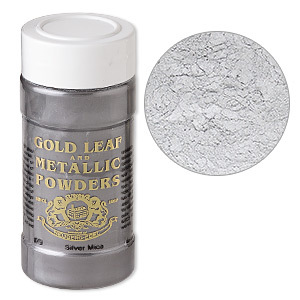 Mica powder, Gold Leaf & Metallic Powders, Silver. Sold per 1-ounce jar. 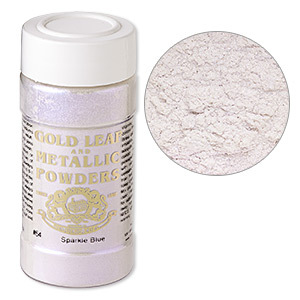 Mica powder, Gold Leaf & Metallic Powders, sparkle blue. Sold per 1-ounce jar. Mica powder, Gold Leaf & Metallic Powders, sparkle bronze. Sold per 1-ounce jar. Mica powder, Gold Leaf & Metallic Powders, sparkle copper. Sold per 1-ounce jar. Mica powder, Gold Leaf & Metallic Powders, sparkle gold. Sold per 1-ounce jar. Mica powder, Gold Leaf & Metallic Powders, sparkle green. Sold per 1-ounce jar. 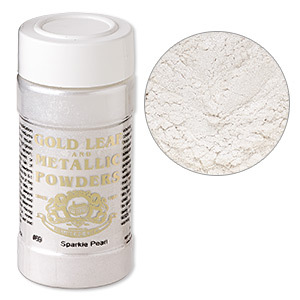 Mica powder, Gold Leaf & Metallic Powders, sparkle pearl. Sold per 1-ounce jar.